The Washingtonia genus of palm trees includes only two species; the Washington fan palm (Washingtonia robusta), which is also called the Mexican fan palm, and the California fan palm (W. filifera). These trees are native to arid areas of California, Nevada, Arizona, Florida and northwestern Mexico, depending on the species. These palm trees grow up to 100 feet tall and have lifespans of up to 100 years. They are cold hardy to around 18 degrees Fahrenheit, making them appropriate for gardens as far north as USDA climate zone 8. Mexican fan palms are a Los Angeles icon. Prepare a planting area in full sun where your Washingtonia will be able to grow to 100 feet tall without hitting power lines or nearby buildings. Also allow room for this tree's 25 to 30 foot spread. Dig a planting hole at least twice the size of your young tree's rootball. Combine a ratio of 4-to-1 native soil to organic compost. 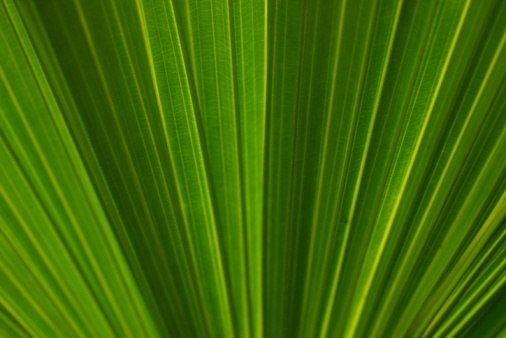 Water your new palm thoroughly with 4 to 5 gallons of water to drench the soil after planting it. Keep the soil moist, but not soggy, until the tree shows signs of new growth, which will be evident when small green fronds emerge from the growing tip of the tree. After two to three months, after the root system becomes established, limit the amount of water you give it because it is a desert plant. Reduce water further during winter. Fertilize your Washingtonia every month with a water-soluble fertilizer or granular, timed-release plant food once in early spring. Choose a balanced plant food with an N-P-K ratio of 10-10-10, giving it equal amounts of nitrogen, phosphorus and potassium. Control insect pests such as aphids, spider mites and mealy bugs by spraying your palm with insecticidal soap as soon as possible after you notice these creatures. Aphids can be green, pink, brown or black. They are normally about 1/16 inch long and favor the undersides of leaves. Spider mites announce their presence by spinning webs similar to spiders. Although the insects are tiny, watch for the webbing, which is the indication they exist. Mealy bugs are also small but are visible due to their fuzzy white appearance. Prune brown fronds from the "skirt" at the base of your Washingtonia's foliage regularly because they are a fire hazard. Use a sharp tree saw or pole pruner and begin cutting on the top side of each frond as close to the trunk as possible without cutting into the trunk.